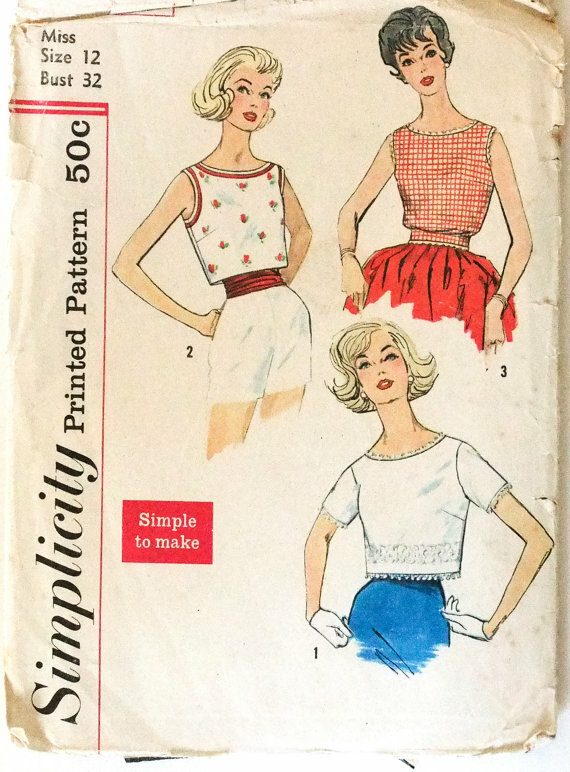 Gertie's New Blog for Better Sewing: Vintage Pattern Giveaway from Prior Patterns! Vintage Pattern Giveaway from Prior Patterns! Fun news today, readers! Etsy seller Prior Patterns is hosting a giveaway and discount for us this week. I got in touch with Sheila, the shop owner, after buying a cute dress pattern from her. Turns out she's a reader and wanted to do a little something for all of us. How sweet! Anyway, the prize is a $20 gift certificate to use in her shop (which is full of patterns from various eras). Enter by commenting here, making sure that your comment has a way for me to get in touch with you (linking to your blog, leaving an email address, etc.). You have til the end of the day on Friday to enter! All countries eligible. Sheila is also giving us a coupon for 10% off your purchase in her shop, until the end of the year! Use the code 10GERTIE2013 when checking out. A big thanks to Sheila for the giveaway and giveaway! P.S. As you can see, my blog re-design is underway! I love to get your feedback, just please keep in mind that it is a work in progress and some things are funky right now. Change is weird, right? Those patterns are really cute! Btw, the new layout is great, very organized :) I have a new layout coming to my blog later this week I hope... it takes so much time to make! Love the redesign and the giveaway! Wishing you all of the best! The new layout looks great! Thanks for the contest! The new blog design is much more you! Please enter me to win! Ooh, what a lovely idea. I shall be a good sport and visit her Etsy shop, too. That's great, would love this! And the new blog design is looking great. 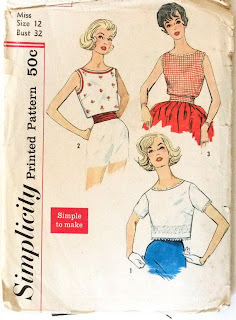 I'd love to feature a sew-a-long type blog entry for one of these patterns once my blog's off and running! Thanks ladies! ive been reading you all weekend on my phone so just saw your new layout! I'm just excited to find this shop in general and the giveaway is an added bonus. Sorry, I wasn't sure how to properly comment on this blog. Love the pattern background, and the giveaway is great! The new design is great - and I would love the oppertunity to add more vintage patterns to my collection! 8036 is adorable in polka dots! How fun! Nice new design. One more vintage pattern? Yes, please! These patterns are so lovely! There is just a certain something that you can only get in a vintage pattern. The new design is good. Thanks for the giveaway, I love vintage patterns but haven't had the chance yet to use one. Just when I thought my sewing room was organized, and I'd declared a purchase freeze, something like this comes along... *sigh* always room for a few more patterns. Awww, I'd love to win this! I'm always looking for new patterns to include in my 27 Dresses Challenge!! The new design is promising! Thanks Sheila! I am keeping my fingers crossed. Your blog looks great - I love the new header! And thanks for the giveaway. I can't wait to get started on something fun and vintage! Love the new page design so far as well! Love your new blog design! Thank you for the giveaway. I love vintage patterns! Thanks for the giveaway! Must look to see if she has my addiction... kids' patterns! Blog looks good. It looks like you no longer have a blog roll? Always love a free pattern. Now going to look to see what i NEED from their collection. heh. k.
looking good, lots of fun looking patterns,and one I just bought. Ooh I do love a good vintage pattern. Loving the new blog look too, particularly the pattern background! And loving the changes to the blog! The background image is absolutely perfect! I like the new layout! I'm glad that you've kept a special page for your Vogue '52 project, too. 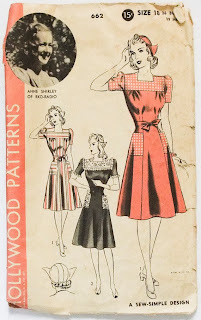 I love looking at vintage patterns on Etsy, but hadn't stumbled upon Prior Patterns before. So many cute things to choose from! Thank you to Sheila (and to you!) for the giveaway. Love me a giveaway! Thanks for the coupon, too, Sheila! I will be sure to go take a look at all of the goodies you have in your shop. I love finding new etsy shops through giveaways! Oh, how I love vintage patterns! Thanks for the giveaway. elizabeth dot k dot parisi at gmail dot com. What a fun giveaway! Thanks so much. I just spent several minutes looking through her shop. Squee! Great giveaway! Thank you! jessicaweese(at)yahoo(dot)com. I went and checked out her patterns and was pleasantly pleased to see she's a fellow Canadian! Makes the shipping costs easier to swallow! Thanks Gertie for the introduction. What a cool shop! Need some of these patterns in my life. I like the new layout, but I think the preview blocks should have some relevant preview text in them rather than the first 3 or 4 lines of the entry. Several of them cut off in weird spots. great etsy store! Love the new layout, really pretty and uncluttered, that is visually easy on the eyes. This is a great competition! I'd love to get my hands on some vintage US patterns which are harder to track down in the UK! I would love to win! New site looks great!! I looked at my screen and wondered when I subscribed to a new blog.... only to realise you've begun your redesign. You got me... I'm not usually a fan of the colour pink, but this looks great so far. Cool giveaway! Count me in. 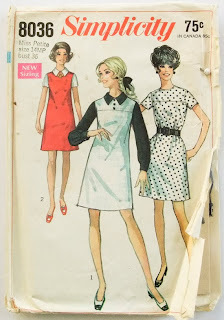 I love vintage patterns and I find them a lot easier after purchasing your book Gertie. Please enter me in the contest! I would love to purchase a few with a coupon and a few more on top of that! Beautiful design! I love Sun Young Park's illustrations. I just found your book at our local library today - so excited to dive into it! Thanks for the contest! I love vintage patterns! Great for the giveaway and thanks to Sheila for the opportunity. What an awesome giveaway! I love vintage patterns. Thank you so much for introducing us to Sheila and her patterns! Who doesn't love a fabulous vintage pattern? Inspiration galore! Thank you for the giveaway and I look forward to following your site! And liking the new design so far! The blog is looking great! And thanks for the giveaway! Thank you soo much! I love the patterns! I am currently using vintage dress patterns as inspiration for my wedding dress. There are just some style that never go out of fashion! Thank you so much for the giveaway! I love vintage patterns! Like I need any more patterns... But I still won't be able to resist! Thank you so much for the giveaway! The selection at Prior Patterns is wonderful. Oooo, so many beautiful patterns! Thanks! Sweet indeed! And what a lovely shop! Ooohh, I want in, please! I'm dreaming of maiking a real 50s dress with a full skirt and everything. Love the retro look. I'm so glad I kept my mother's patterns from the 40's and 50's. Vintage Patterns are great, i love reading and studying older patterns. Thanks for having a giveaway! Thank you for the chance to win such cute patterns! Love Vintage Patterns! Not only do they bring back a lot of memories for me, I love the clean lines and couture methods of sewing. No sergers back then. A young seamer can learn more from Vintage Patterns about techniques and line than from most modern schools and books! Thanks you so much for this cute give awayI I'm in! Lay out can be a less than enjoyable task, although the end product will probably be worth it. Good luck on finishing it up and thank you for hosting the give away. Thanks for the giveaway! I didn't know Prior patterns but it looks interesting. Commenting to enter the giveaway. Looking forward to checking out Prior Patterns on Etsy! Love the changes & Shelia's generous offer. I love you blog so much. I wish I could read all of the posts. I borrowed your book from our local library and then immediately went out and purchased it. I told my husband that I am going to make everything, (as soon as I figure out how to do a FBA for my nursing mama bosoms). I just want to say that your rock. I would love to be able to reference all your detailed sew-along / tutorials in one easy click. For instance, when I was making my coat i was constantly looking for either your red dress or Earl Grey posts. Change is good! I'm looking forward to the new blog! what a great prize, thanks gertie! Always love vintage patterns! I would love to make a 40s or 50s dress for my wedding anniversary. Thank you. I have never tried a "true" vintage pattern-would love to win. Anyway, I'll be checking out this shop. That's a pretty exciting collection! Have just started collection old patterns. My daughter loves the 50's. She also has been collecting old aprons. Thanks for the new shop. Love your blog ! Oh would love to get some more vintage patterns in my collection! How timely! 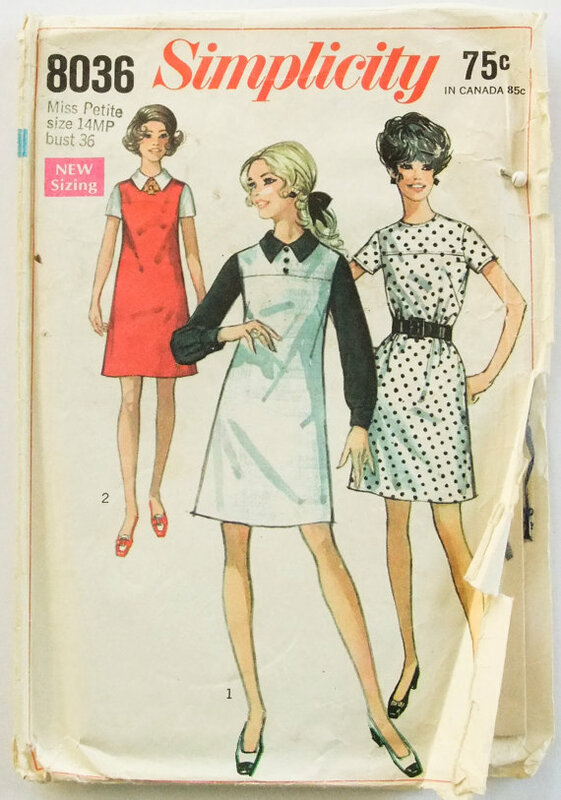 I was just thinking I need a house dress pattern to sew up for my late summer/early fall wardrobe. I just started using vintage patterns after sewing for so long! I hope I win! Oh, so many beautiful patterns! I recently completed my fist real vintage pattern (a 1950s collarless shirtdress; some pics here; http://www.mysewingcircle.com/project/show/12083), and I'd love to get my hands on some more! I guess it's worth a shot, right? Please please please! Oh my goodness these patterns are just glorious! Just what my wardrobe needs. Trying all day to post but, being a bit of a luddite, this is another try. If my posts somehow show up all at the same time, you'll think I'm some kind of crazy person. First, I LOVE the yellow Ascher print you sent in the mail from your Etsy shop - thanks for getting it to me so quickly. A vintage pattern would work awesomely with this lovely fabric. Next, I'm liking your new web layout but am also wondering if your tinkering and my lame attempts at posting are somehow crossing in cyberspace to nix my posting ability. Ooh, I love vintage patterns, so I'll enter. Thanks! Your new page design looks great, I really like it! That is a great gift. How nice of Sheila and you to offer it. Thanks so much for the chance to win. I do love me a good vintage pattern. Thank you for the chance to win! Love to win this and glad I found your blog. I love sewing vintage patterns. Will have to check out her Esty shop. Thank you! A fun (new to me) etsy shop with terrific patterns. Love the new site! 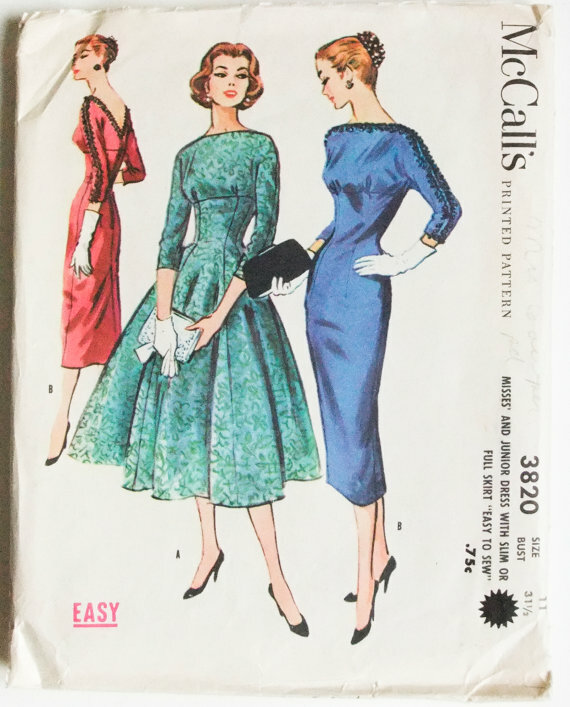 Oh, how wonderful to hear about a new etsy shop to find vintage patterns. I shall investigate! Thank you for the giveaway opportunity! I've been getting into vintage patterns more, so I'm super excited about this! The first two dress patterns! Wow, I can actually wear these now I have topped breastfeeding! Makes me want to go to the sewing machine right now! Love this pattern! wish it was mine! Love reading the blog, keep on the good work! Cute patterns! I would love to win the prize!! I'd love to try a vintage pattern. Finding plus size vintage patterns can be a challenge, but I see she does have a few patterns in my size. Maybe I'll be the lucky one! Thank you for everything Guertie. Please enter me for the vintage patterns! I am sewing from one at the moment and would love to try more. phillylincoln@gmail.com. Thank you! Ok, sorry, the anonymous above is me, sorry, I messed up the login... Ahem.